Varanus komodoensis is a monitor lizard known as the Komodo dragon. Growing up to 3 m in length and weighing up to 70 kg they are the largest living lizard. They are predators and feed mostly on deer which they hunt. The Komodo dragon can sprint at speeds speeds of up to 20 km/h but a single one may struggle to keep up with a quick agile deer if it does not catch them by surprise. 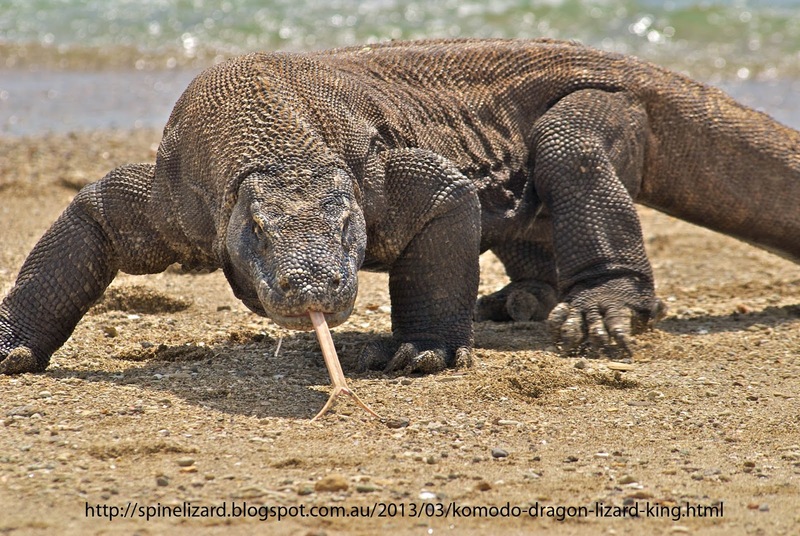 That is why Komodo dragons, unlike any other snake or lizard, will cooperate whole hunting. They are also armed with anticoagulants in their bite to prevent prey from running too far if they are bitten. They may have other poisons in their bite. 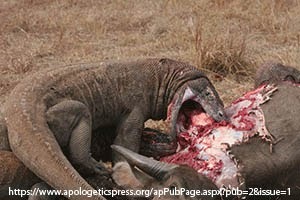 The Komodo dragon will occasionally attack and eat humans if given the opportunity. The Komodo dragon can only be found on a few islands of the Lesser Sunda islands, Indonesia especially the island called Komodo. Fossil records may indicate that they were once more wide spread.